One of the most prestigious watch fairs of far-east, Watches & Wonders, will be opened to both visitors and watch enthusiasts from all over the world. 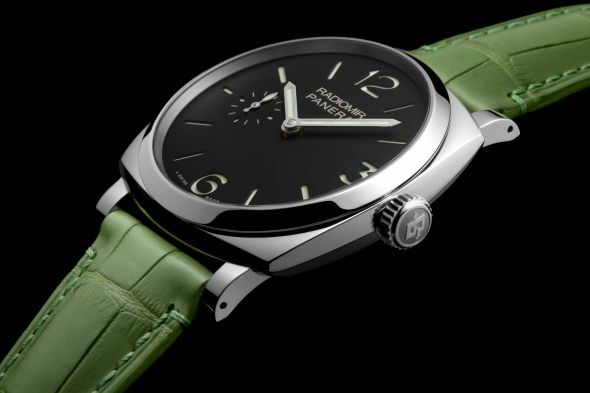 Panerai has revealed ten new models of 2015, which consist two limited editions and two table clocks. 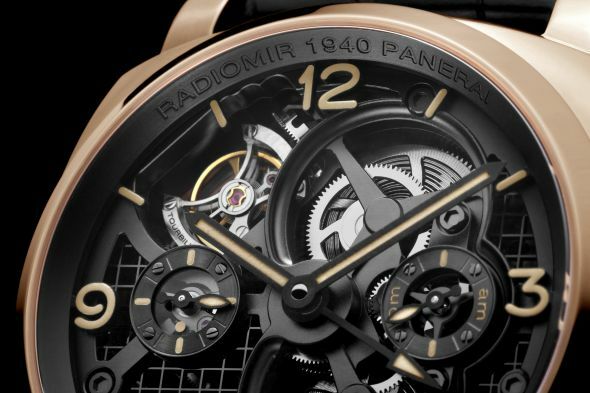 There are a lot of novelties which have Radiomir 1940 cases, which is described as perfect combination of classic and modern design by Panerai. New models have two case variants, stainless steel and 18 ct rose gold and the movement is newly designed manual winding caliber P.1000. 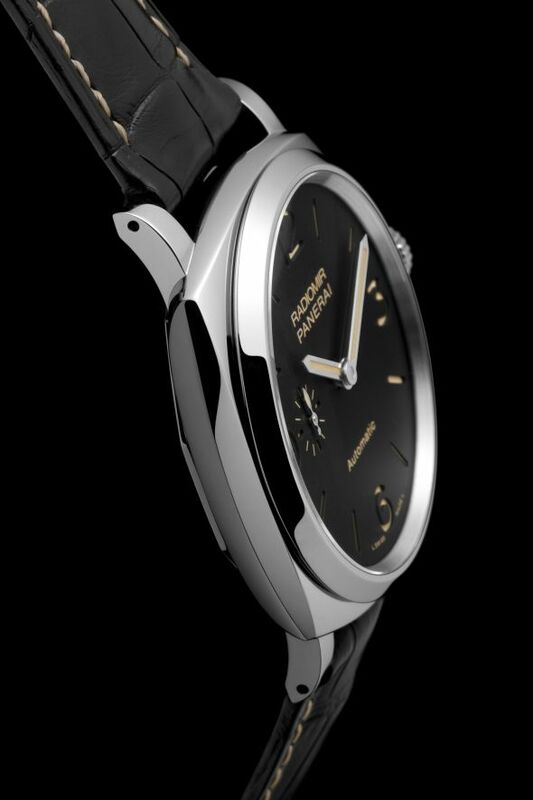 Designers aimed to create a very confortable and elegant case without compromising from the key elements of the design of Panerai. Both models have sapphire crystal glasses. Water resistancy of stainless steel model is 100 meters, however, rose gold model is restricted by 50 meters. 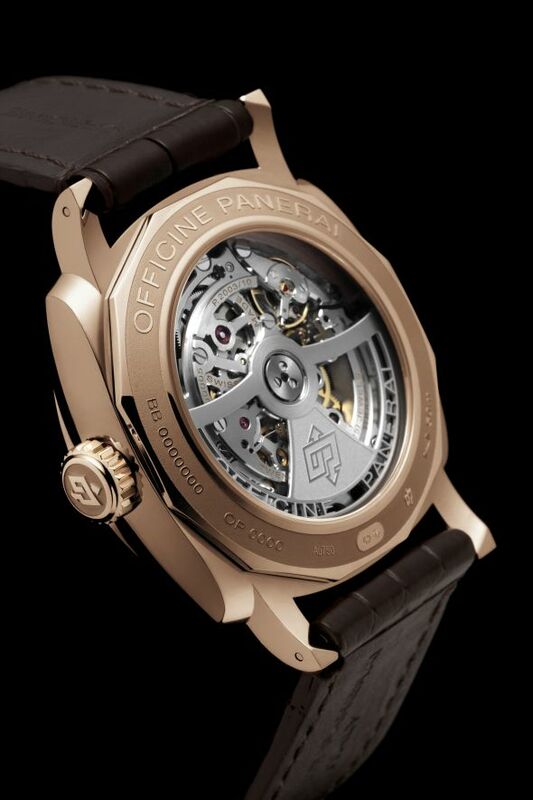 New watches have a newly designed caliber P.1000. 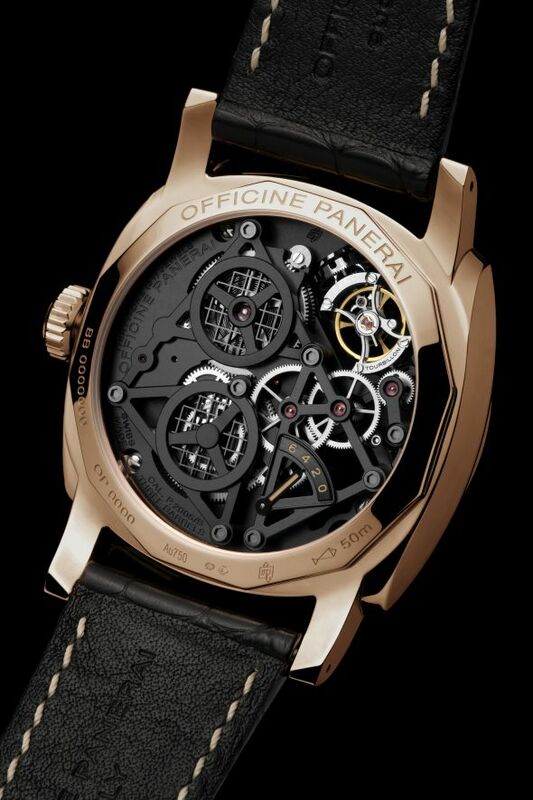 New movement has 152 individual components, dimensions are 26.8mm x 3.85mm, 21 jewels, 28800vph and 72 hours power reserve. 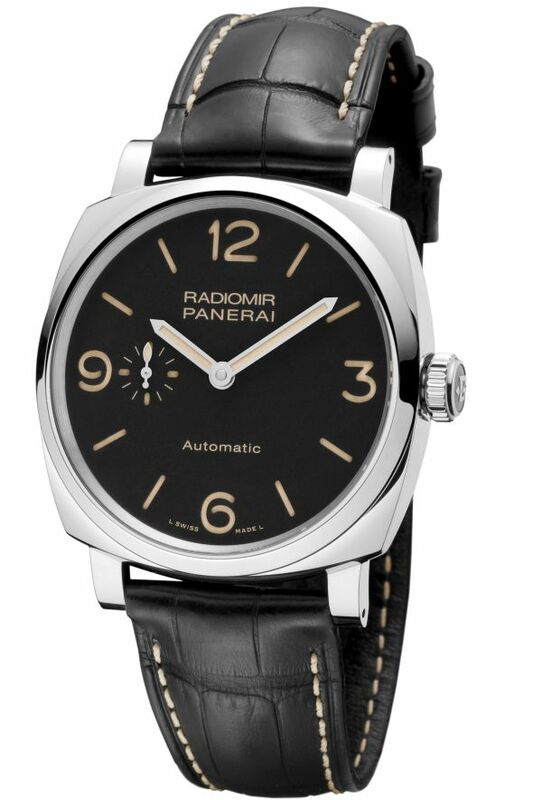 Another 42mm case Radiomir 1940 model is PAM00620. New model has a stainless steel case and sapphire crystals for both front and rear glasses and water resistancy level is 100 meters. 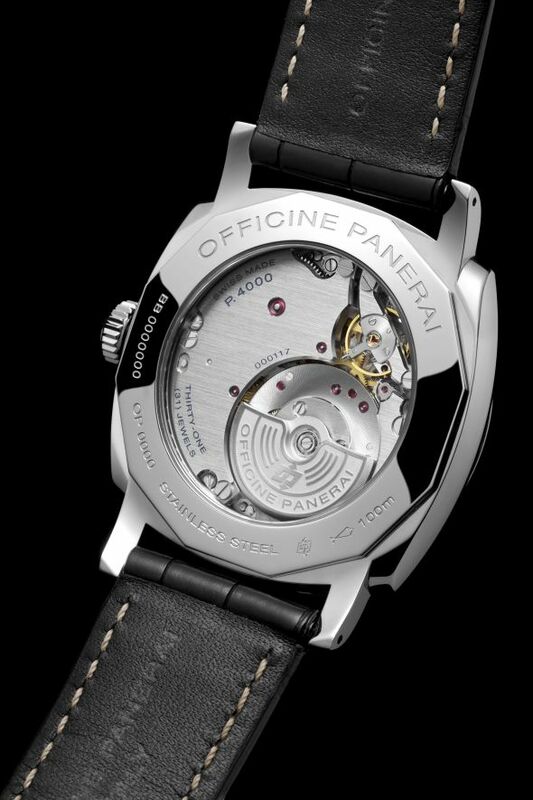 The main difference of PAM00620 is the automatic caliber which has a micro-rotor design for extra thinness. 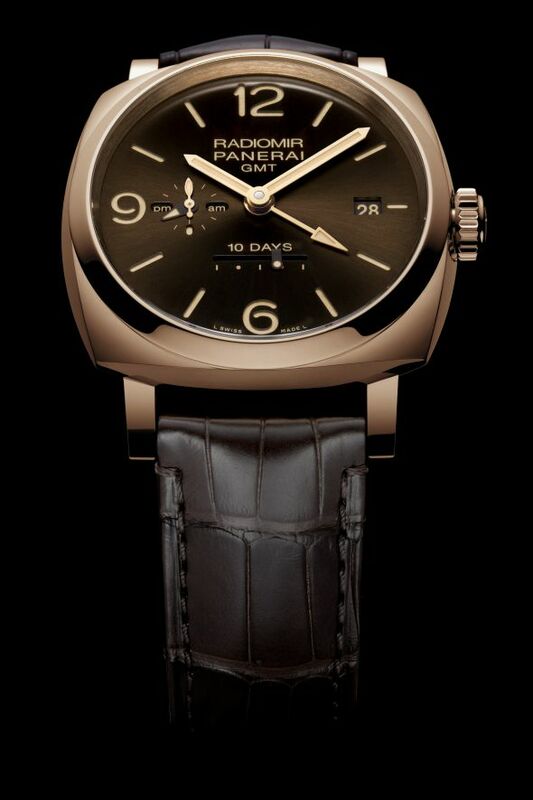 45mm cased Radiomir 1940 models have two dial variations; black(PAM00625) and brown(PAM00624). Both models have 18 ct rose old cases, sapphire crystals and 50 meters water resistant. 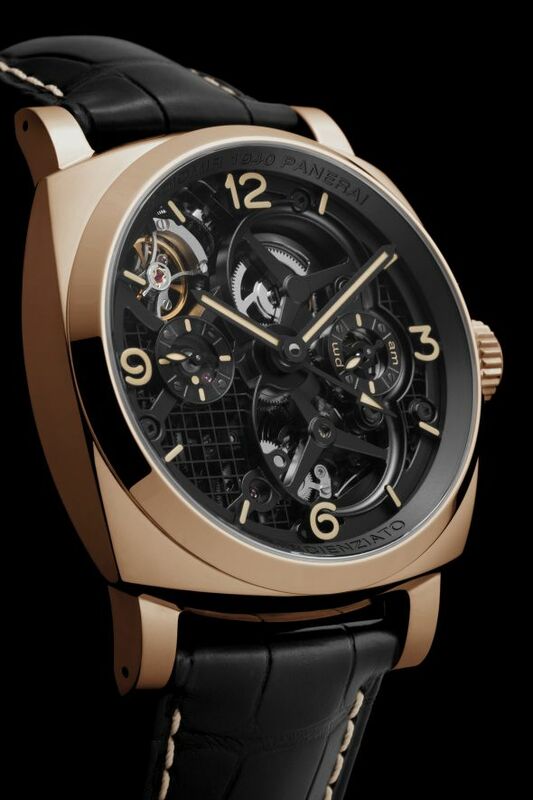 Movement is automatic caliber P.2003/10, partially skeletonized for the rotor and some other elements. 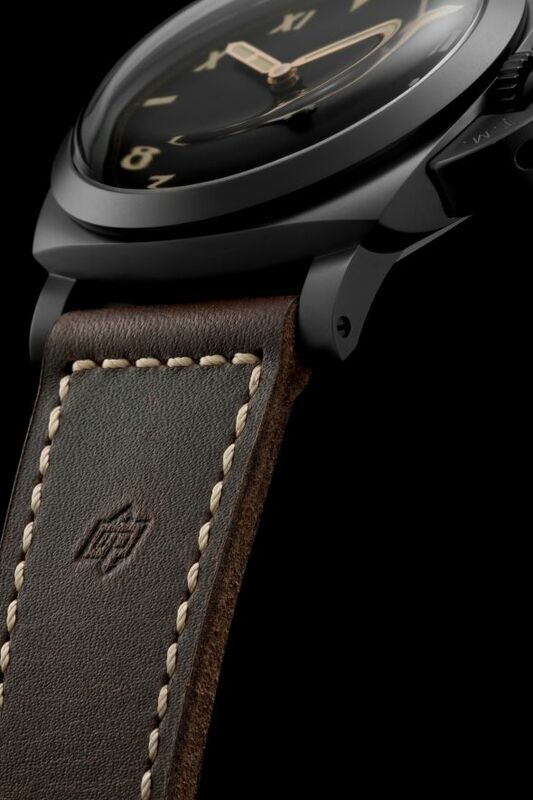 It also has GMT function, power reserve indicator and 10 days power reserve. 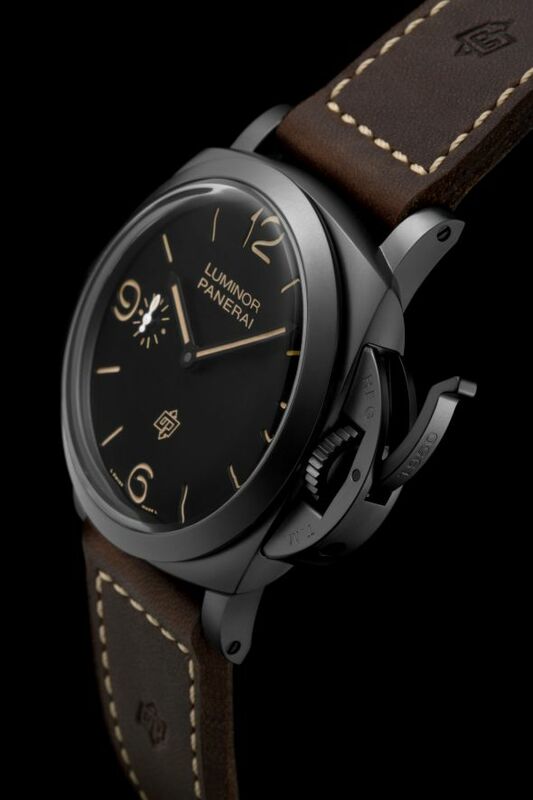 Panerai introduced two different Lo Scienziato variants in ceramic Radiomir and Luminor 1950 at previous years. The new ref. 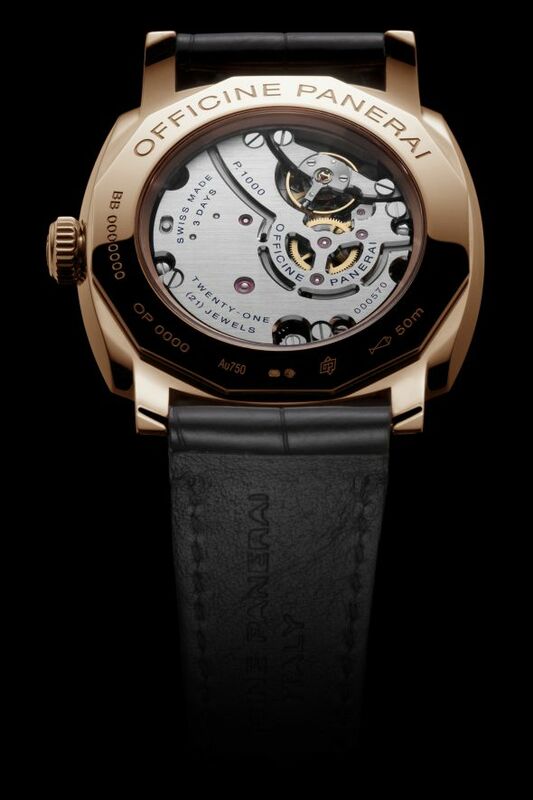 PAM00559 has 48mm diameter, 18 ct rose gold case and it's production will be limited to 30 pieces. The most striking feature of the Lo Scienziato series is the extraordinary designed skeleton tourbillon movement which has GMT function, power reserve indicator and 144 hours power reerve. 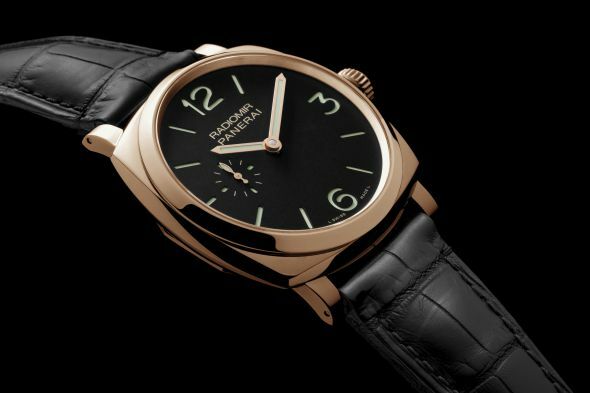 For all Panerai fans, special editions are always the most remarkable ones. It seems like the tradition will not going to change for this year too. 47mm diameter, DLC coated titanium cased watches have 2 different dial variants. 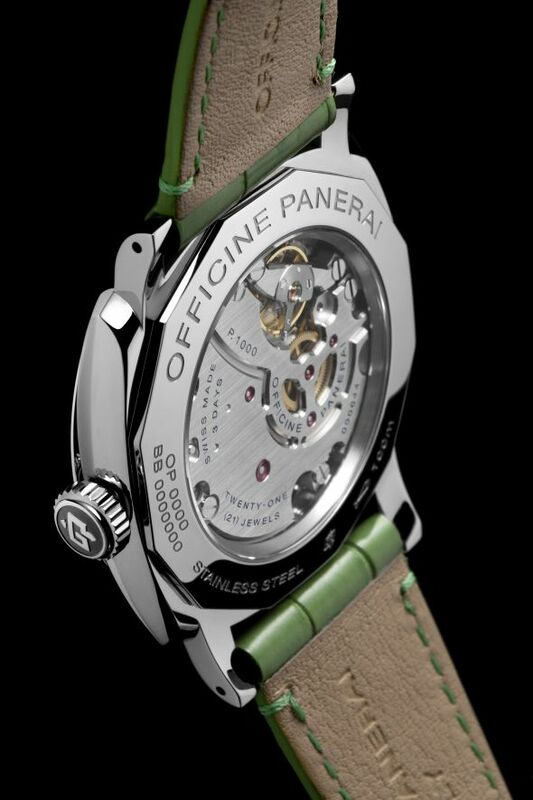 Both models have manual winding caliber P.3000. 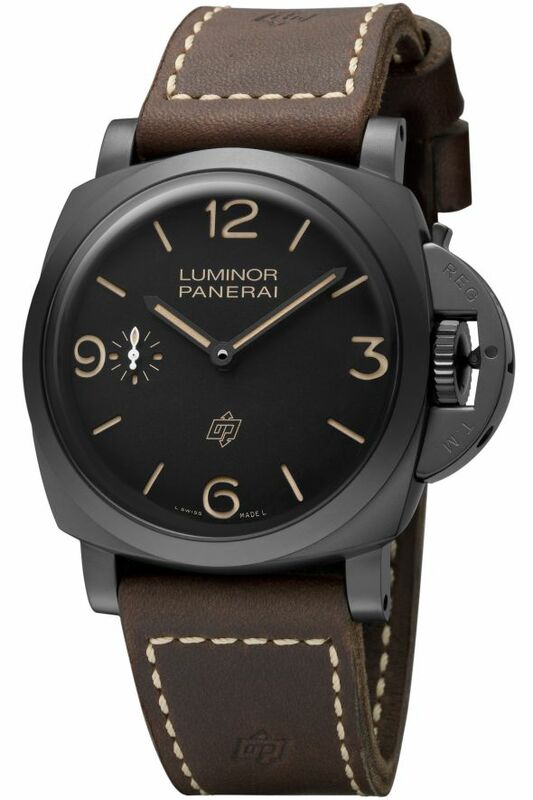 PAM00617 seems like the very first Luminor 1950 cased model, ref. PAM00127. 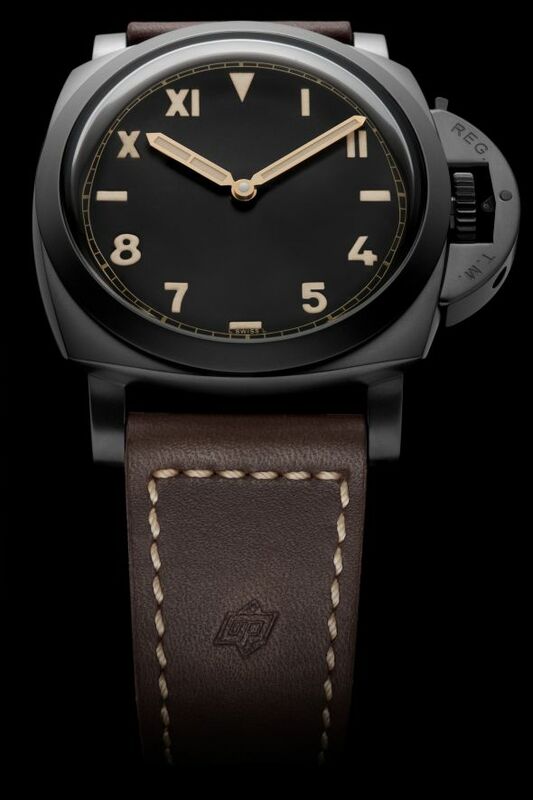 Other one, PAM00629 has one of the most anticipated dials ever created by Panerai; " California" dial. 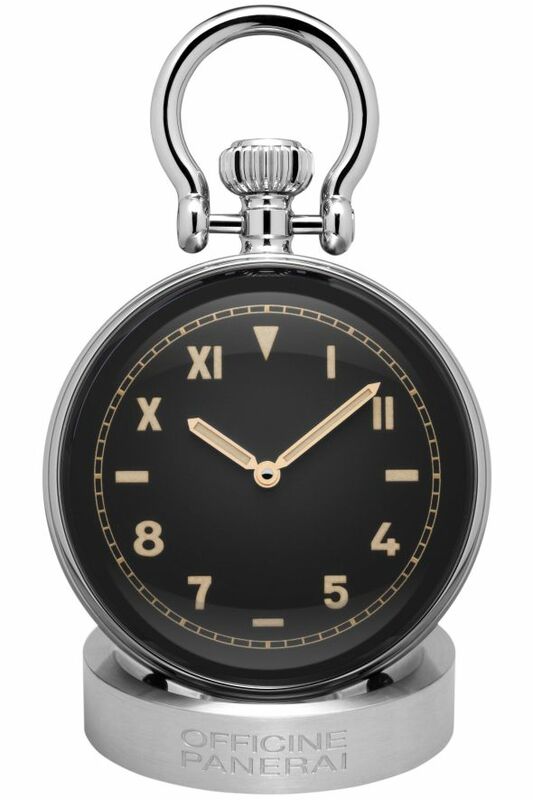 Both models have closed casebacks and "1950" engravings which is placed on the lever mechanism is one of the most eye catching details of the watches. Production of watches will be limited to 300 pieces individually. 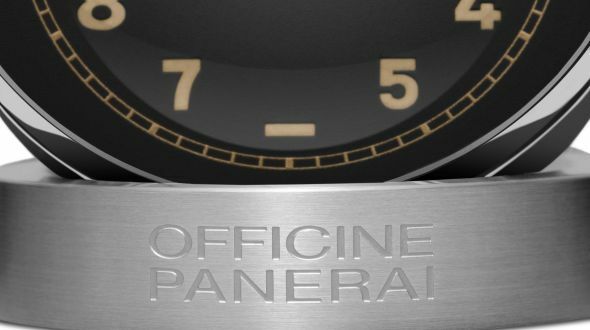 The last novelties from Panerai are table clocks. We saw spherical crystal shaped clocks from Panerai in previous years and new dials added into collection for this introducton. Both two models have 65mm stainless steel cases and spherical sapohie crystals, movements are manual winding caliber P.5000 which has 8 days power reserve. PAM00641 model has S.L.C. type dial and PAM00651 has California type dial.